In any new relationship, patience is key. The same idea applies here—for some puppies, bonding can happen overnight, but for others, it can take weeks or even months. Remember your puppy is getting used to its new parents, home, sights, and surroundings, which can be pretty stressful for them. If your fur-baby doesn’t warm up to you immediately, don’t take it personally. Continue working on building that trust and respecting your puppy’s comfort by keeping calm and positive. Building trust can be a tricky for puppy parents. We know it’s hard not to constantly pepper your adorable puppy with kisses, you should give them a little independence. Allow your fur-baby to explore and see their surroundings when they feel most comfortable. Never force your puppy into a situation they’re not ready for, like introducing them with other puppies or people. Socializing is a gradual process and if done right, can help you and your puppy establish trust. 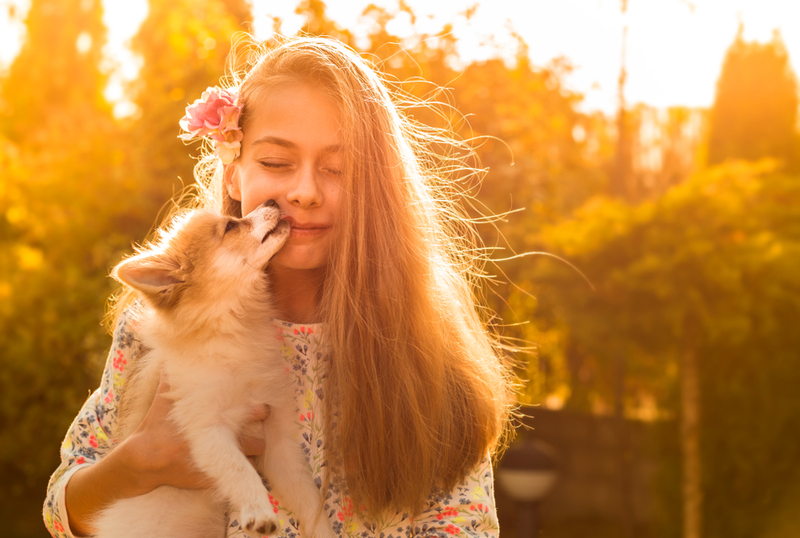 What’s the best and fastest way to bond with your fur-baby? Playtime! A puppy is always full of never-ending energy and engaging them in play definitely brings out their fun side. 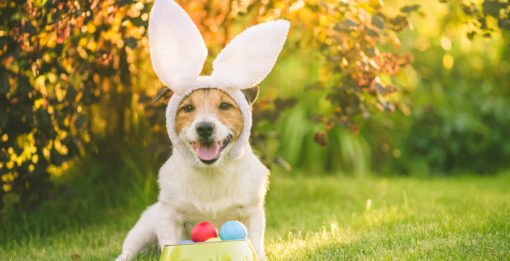 You can play various types of games with your puppy, which you can check out on our blog, 10 Fun Games to Play with Your Puppy. Of course, if your puppy is shy or still adjusting to their surroundings, you may need to coax them into playtime. If your puppy shows no interest in playtime, allow them to continue adjusting and exploring their surroundings and try again later. Read our blog, 5 Must-Have Puppy Toys for more ideas on toys. When you bring a new puppy to your home, remember that they don’t know its rules and the behaviors you expect from them. It’s important for puppy parents to establish the house rules and behaviors they prefer early on. You can do this through positive reinforcement. For instance, if your puppy waits patiently as you get ready for their walk, praising them for their patience, it communicates that they’re doing something good. This make them more likely to repeat the behavior again. 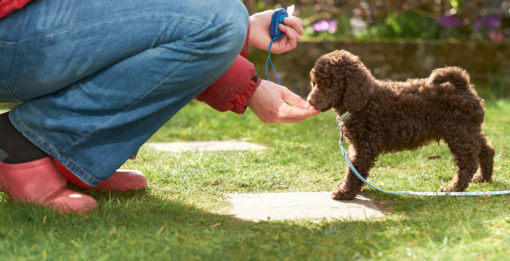 Read our blog, 5 Things You Must Teach Your New Puppy for what you can teach your fur-baby. Like patience and trust, consistency is another essential aspect in building a close bond with your puppy. It wouldn’t be fair to allow your puppy on the furniture and then tell them to get off when they’re an adult dog. Being consistent with trainings and expectations not only improves the human-puppy bond, but it also prevents your puppy from being confused. Remember to also give your puppy space and comfort as they grow used to having you around. Building a bond with your puppy has its quirks, but with enough patience and love, you and your puppy will be close buddies in no time! 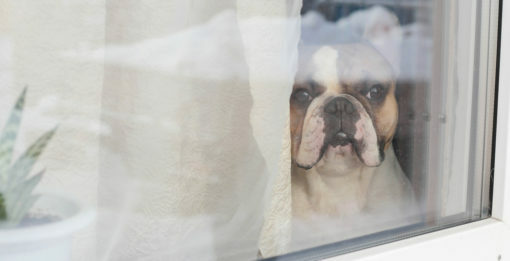 If your puppy suffers from separation anxiety, be sure to check out our 5 Tips For Managing Your Puppy’s Separation Anxiety.